Marie-Josée Croze, François Papineau, Natar Ungalaaq et al. 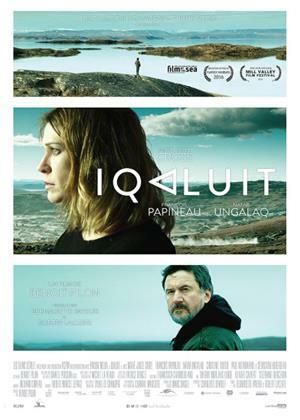 Gilles (François Papineau) is a French Canadian working in Nunavut while his wife, Carmen (Marie-Josée Croze), lives in Montreal and leads a career in marketing. Word reaches Carmen that Gilles has suffered a head injury, and she travels north to see him. At the hospital, she sees him die, and the authorities plan an autopsy since the cause of death is uncertain. While in Iqaluit, Carmen meets an Inuit man, Noah (Natar Ungalaaq), who worked with Gilles and regarded him as a good friend, and learns Gilles had accumulated a collection of carvings. Carmen notices Noah's 20-year-old niece Ani (Christine Tootoo), and his grown son Dany (Paul Nutarariaq), and discovers Gilles had an affair with Ani. They had a son, Simigaq, though Carmen and Gilles never had any children. The affair ended after the birth of the child, with Gilles offering financial support and buying carvings to help the family. Carmen confides in Noah at the local bar, with Noah explaining he adopted Ani to rescue her from her abusive father. Carmen expresses her sorrow and anger at Gilles, after which Noah takes her to a remote location. There, he sets up a tent and fishes, but admits he has little knowledge of Inuit custom, as he was placed in a residential school as a boy. Noah's family arrive at the site in a state of panic, telling him Dany has abducted Ani and Simigaq into the wilderness, armed with a rifle. Weary of involving the RCMP, Noah believes he can reason with Dany, and Carmen insists on accompanying him. When Noah and Carmen find Dany and Ani, Dany asserts he can live on the land and evade the authorities. Carmen asks him what he did to Gilles, with Dany replying Gilles' death was an accident, but the police would never believe him. As the situation begins to de-escalate, Carmen speaks to Ani, who witnessed Gilles' death. Dany was pressing Gilles for money before accusing him and other whites of coming to the Arctic and seducing local women, including Ani. The argument led to shoving, during which Gilles tripped and fell over a cliff. After Dany is defused, the group takes boats back to the mainland, with Carmen asking Ani if Simigaq will ever know about Gilles. Ani replies she and everyone in the community will tell Simigaq about Gilles.